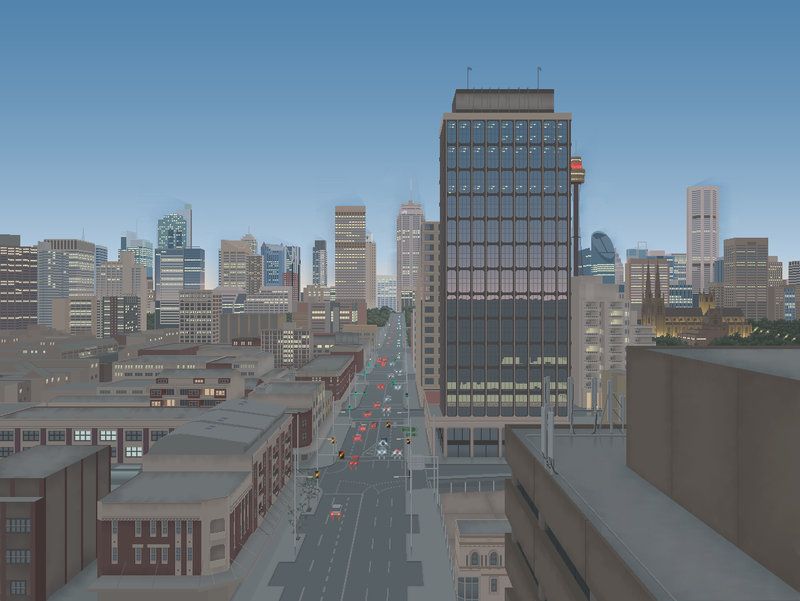 MS Paint might be a relic of bygone technology, but one Sydney artist has chosen to immortalise his hometown in that dead medium. Those of you who are in your twenties and thirties will probably recall using MS Paint when you were kids. I remember the excitement my own children felt at being able to create images on a machine using this easy user-friendly program. Of course, as computers and programs have become increasingly more sophisticated, simple in-built programs like MS Paint have been superseded by advanced programs like Photoshop, Illustrator, Inkscape and a host of other professional design software. But there are some who still love this trusted old program. 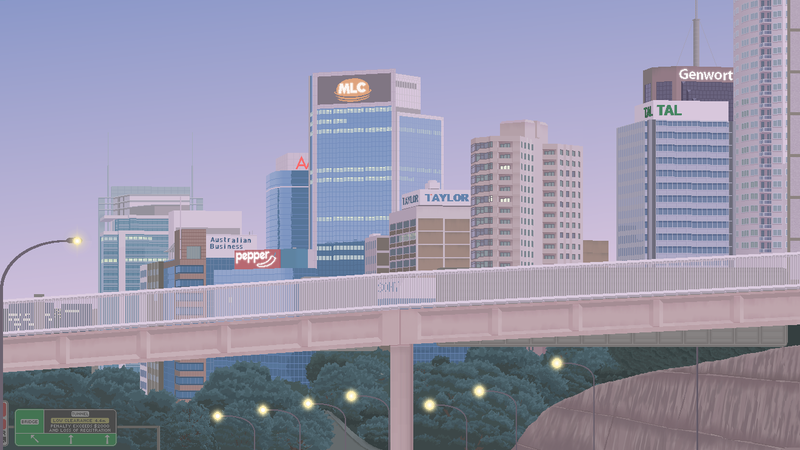 Lin Xing Yu, a young Sydney artist originally from Guangzhou, has been using MS Paint since he was 11 years old. We spoke to Xing about his art and his chosen medium of MS Paint. When you first began creating art in your early teens, you chose to work using MS Paint. What was it about the program that appealed to you? When I first started creating art in MS Paint, I chose it simply because of its accessibility, how it could be found on almost every computer I got to use as a teenager. It was a fun way to spend lunch times on the school library computers, to pass the time on a spare computer in my dad’s office while I waited for his work to finish after school, and I could put the bitmap files of my drawings on a USB my dad gave me and keep going when I got home. So MS Paint was initially a practical choice, just an enjoyable little hobby I could take anywhere. Now, even though Microsoft no longer supports it, MS Paint is still your chosen medium. Why not move to a more advanced program—wouldn’t that allow you more scope and more flexibility to explore your subjects? I have in fact recently been teaching myself to use a more art-oriented and advanced program, called Krita! Using Krita to create art in a different direction from the generally pixel-oriented medium of Paint has indeed let me explore some of my ideas from a different angle, and gives me more freedom to focus on fluid lighting and interesting perspectives. But I won’t say that this is moving on from MS Paint, because the approach to art offered by MS Paint is still one that I adore and love to keep exploring. When I began creating art in MS Paint in earnest and started sharing my work with online communities, I realised that MS Paint art carries a nostalgic appeal for a lot of people because of its association with the Internet culture of the 1990s and 2000s. 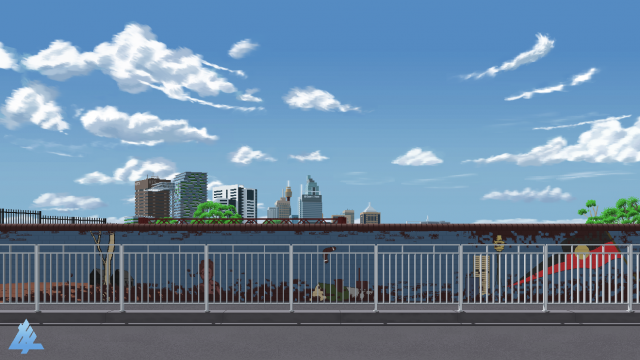 A lot of pixel art today takes inspiration from the art found in video games of the past, when less-advanced computers and consoles limited the scope of art that could be included in games. I think the limitations of MS Paint and the pixelated form of the art created in it evokes a sense of nostalgia for that era, and for a lot of people on social media today, brings up personal memories from that time. 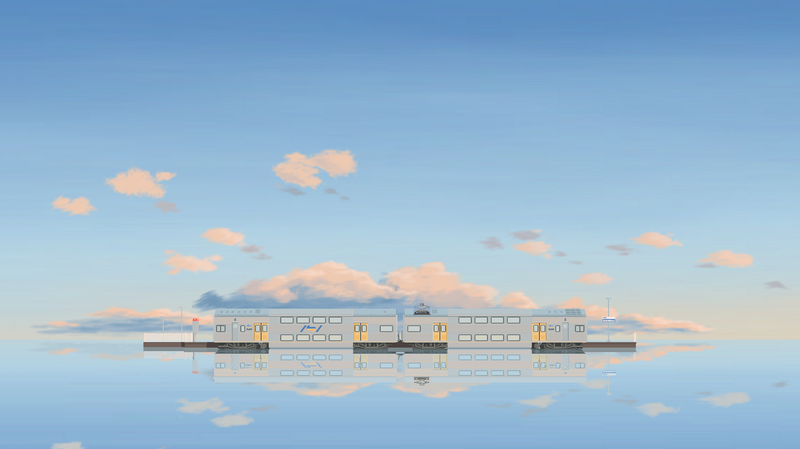 I think the simplicity of MS Paint art (and pixel art as a whole) lets people imagine that there’s a story behind each piece, as if it were a scene from an old adventure game, as if it were intertwined with a bygone era that a lot of us can still remember. You favour urban landscapes—electricity towers, tall buildings, built-up areas—as your subjects but there’s no bleakness in your images. Pink clouds, the first stars of the evening, a flock of birds: these elements add a simple beauty to the pictures. Others have commented that your works have a meditative quality to them, that there’s beauty to be found in the most unlikely places. Is this what you’ve set out to do? Yes! My intent with art has always been to appreciate the simple beauty of the everyday. I notice that a lot of art and media portrays urban life as bleak, claustrophobic, as something we have to put up with. But nowadays, more and more people in Australia and around the world are living in big cities and experiencing urban landscapes every day. 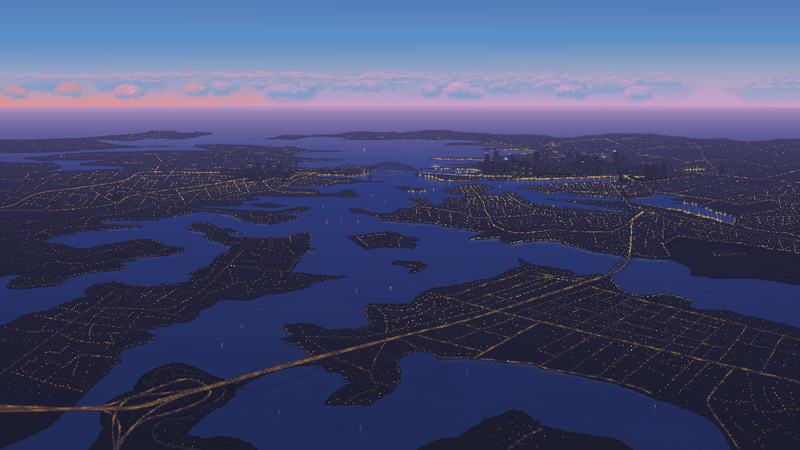 I’ve lived in large metropolises for all of my life and the thing I’ve set out to do with my current art is to explore the little things about daily life that I find beautiful—things that are deeply embedded in the personality and identity of a place, particularly Sydney, like public transport and views from commutes to work every day, that a lot of people would have seen but not specifically noticed. I like to think of it as taking a small slice of the blur of memories from life and taking the time to appreciate it, to share it with others. Sometimes I receive comments online from others who live in Sydney who recognise the places I draw, and I like to think of it as a reminder that we share our simplest everyday experiences with many other people. To share what I find beautiful in these little things we all see feels special to me and I hope that the same goes for the people who see my art! How do you choose what particular subjects to paint? Does it rely on the season or the time of day? Often, I get my ideas for subjects from quick glimpses that stick in my mind, like a fleeting view out the window of a moving bus or train. It could be a place that I’d seen for the first time, like coming into the city on the M2 bus from the north. Other times it could be the impression that comes to mind when I remember a place, the feeling and the weather I’ve associated with it. When I have an idea for something I want to draw, I sit on it for a while and think about it a lot, so in the end when I draw, it isn’t dependent on the season at that time anymore. I do a bit of research of the subject through StreetView and photographs to try and familiarise myself with what I’m drawing. A lot of the time, I end up reading quite a bit about the places I draw too, so I feel I’ve learned a lot about a lot of places around the world that way! I think understanding a subject improves the outcome of my art, because I can include little details that people familiar to the place can relate to. You’re from Guangzhou in China and now live in western Sydney. Do you feel that there are any significant differences between the two places in how art is created and appreciated? The biggest thing I’ve noticed in Chinese and eastern Asian art in general that I don’t see in Sydney a lot is the romanticising of urban cityscapes in art. Guangzhou is a huge city, and it’s recently grown into a chain of cities around it in the Pearl River Delta, turning into one of the biggest urban areas in the world. People in Guangzhou and other big Asian cities live surrounded by high rises as far as the eye can see, so in art from that area, urban life is represented frequently with a lot of attention to detail involved because urban landscapes are very specific and recognisable to the people who live there. You can see this in popular anime and manga (Japanese) or manhua (Chinese) works, where there’s a lot of effort put into backgrounds, painstakingly and lovingly depicting the setting of the stories they tell. Popular artworks in Australia, at least as far as I have experienced, don’t put as much value on the physical identity of places as a whole, but they do depict individual icons proudly, from the Opera House to local landmarks like the UTS Building. I feel that the art I see here in Sydney focuses on the human element of life a lot more, and is often closely intertwined with the history of this city. 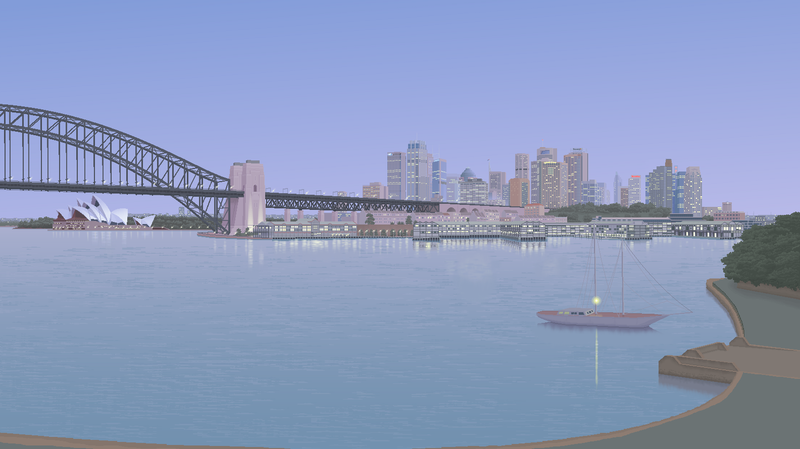 Australia hasn’t been around for as long on a global scale, and big cities especially are new to Australian life. Sydney has spread so much and so quickly into what was bushland and fields 30 years ago, which I think is why urban life isn’t as big a part of Sydney’s identity in popular culture. Does social media make art more accessible to a wider audience? How important is art in our daily lives? I definitely think social media has made art much more accessible to more people, and has made it a more casual hobby that a lot of people can take up. Social media lets people share their art and ideas with a wide audience, and I think it’s inspired a very diverse and active community of artists online. I feel art has become more important in our daily lives in this age because it is an accessible way for people to express their thoughts and views on the world, and social media allows more of us to share this hobby with more people than ever before. More than ever now, both creating and viewing art has the power to evoke feelings in all of our everyday lives. You’re not yet even 20 years old but you’re already making an impression on the art world. What are your long-term goals? And what do you hope to achieve in the short term? I honestly don’t have much of a concrete idea of my long-term goals! I live my life in a similar way to how I make my art, I like to enjoy the present moments as much as I can. I aspire to one day produce art for video games or perhaps animations, to be able to tell more stories through art. My short-term goals have been to improve my productivity in creating art, to be able to get more of the ideas from my mind onto the MS Paint canvas! You can find Lin Xing Yu on Instagram: @cro.ss.ing and Tumblr: elevatedcross-ing.tumblr.com.